Indulge yourself and pamper in flickering candlelight provided by a glamorous Champagne bottle candle. 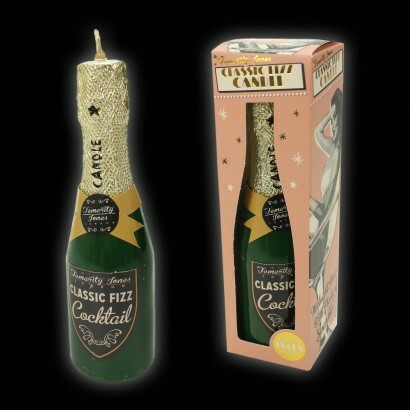 A fun candle with an 18 hours burn time, this classic fizz candle will cast gentle candlelight into your room for a soft tone and relaxing atmosphere. Ideal for pamper sessions and nights in with the girls, say cheers to me time with a classic Champagne fizz candle.